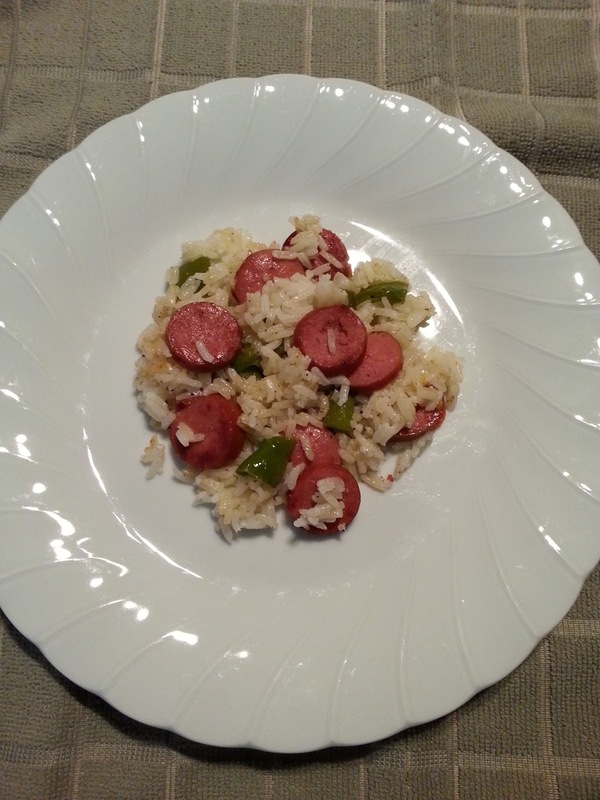 Jasmine rice and smoked sausage go so well together. Simple, delicious weeknight dinner or lunch. Spray skillet with cooking spray, over medium heat. Add sausage and brown on both sides, about 5 to 7 minutes. Remove sausage from pan. In the same skillet, add olive oil, butter, bell pepper, garlic salt and black pepper, stirring, cook until tender, about 5 minutes. 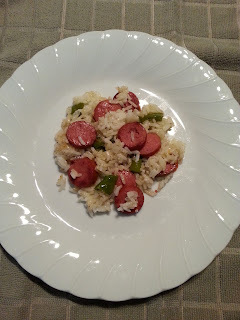 Add sausage and rice, stir well. Cook until heated through.